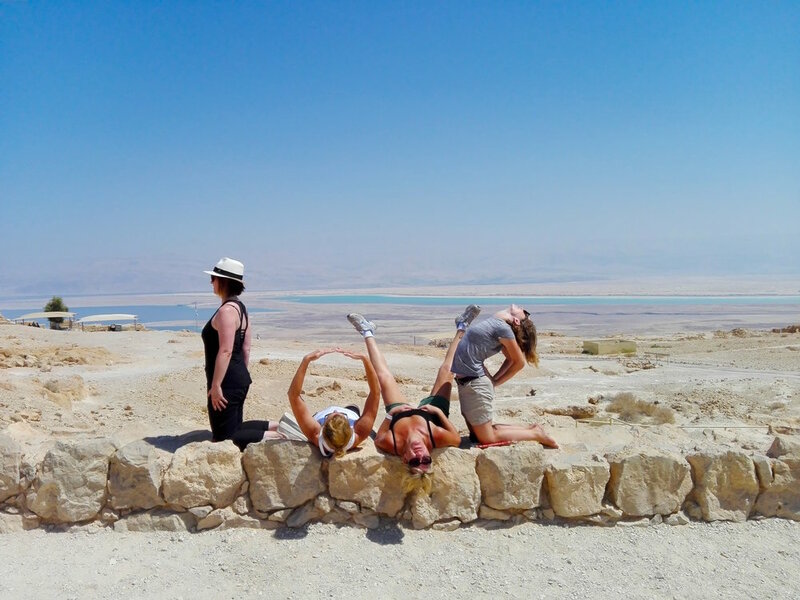 Sole Yoga Holidays is overjoyed to return to the most wonderful, luxurious, exhilarating, activity filled yoga retreat, Aug 31-Sept 7, 2018 over 2 gorgeous cities in Israel. 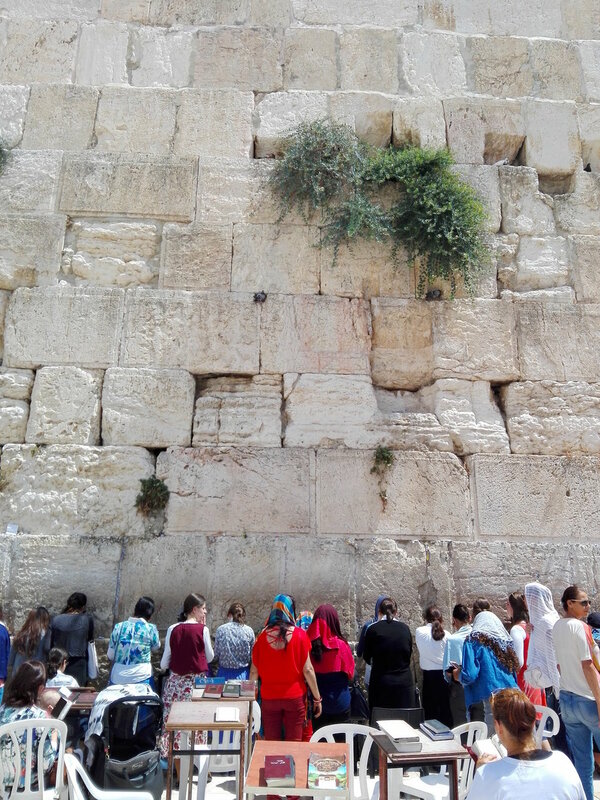 From the pristine beaches of Tel Aviv to the breathtaking desert to the unbelievable melting pot of the Old City of Jerusalem, Israel is something one must experience at least once in their lifetime! Our first location (Aug 31-Sept 4) is in Israel’s cultural capitol, Tel Aviv. Aside from the beaches that go on for miles, Tel Aviv is alive with plenty of joie de vivre. Streets are lined with cafes and 24-hour restaurants and hip hangouts. It is a city filled with a counter-culture vibe and freethinking. It is a flourishing arts and design hub, locally designed fashion and jewelery and delicious creative culinary delights. Tel Aviv is also a UNESCO world heritage site boasting the world’s largest collection of Bauhaus architecture. What an incredible sensory city adventure! 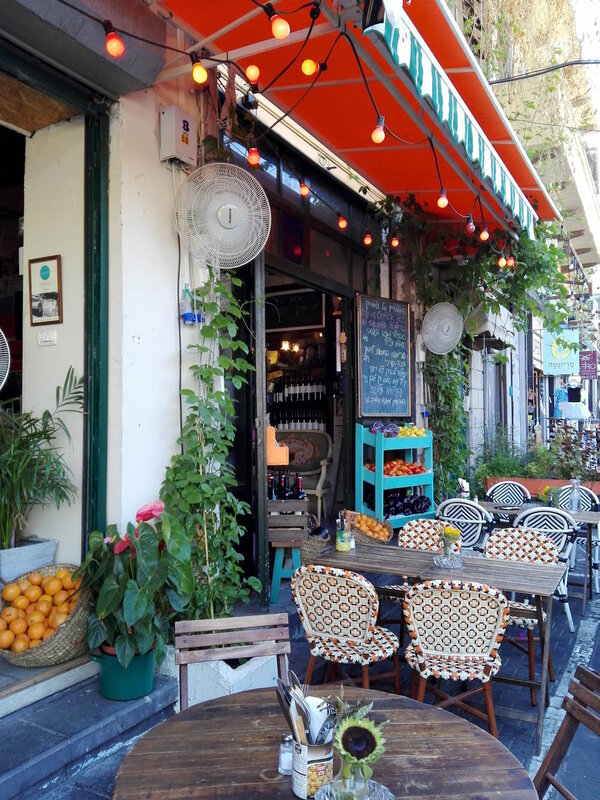 Our hip and wonderful boutique hotel, the Poli House is the perfect architectural combination of past, present and future in Tel Aviv’s bustling and vibrant center. It features one of the city’s most lavish infinity pools, plus trendy rooftop bar and spa. Each room is beautifully decorated and includes everything you need such as plush bathrobes, hi-end bath products, wifi, minibar and more. On our fourth day, we head to our 2nd location in Jerusalem (Sept 4-7). Both historical and modern, Jerusalem is one of the most fascinating locations we have ever discovered! Aside from the magnificent holy sites in Old City, Jerusalem is also home to some of the world’s best cuisine, art and bustling nightlife! Our location, Villa Brown is a spectacular 24-room boutique hotel in the heart of the city. Special features include a rooftop terrace and lounge, spa and open-air jacuzzi. The stylish rooms include luxurious baths with rainfall showerheads, slippers, plush Egyptian towels, hi-speed wifi and more. There is nothing like an Israeli breakfast! We will enjoy a hearty combo of sweet and savory dishes such as pastries, fruit, veggies, hummus and of course ‘shakshuka,’ an egg specialty baked in a tomato sauce. In Jerusalem, we can take our breakfast to the open-air veranda and in Tel Aviv there is a charming private garden. Four dinners, 2 in Tel Aviv and 2 in Jerusalem will be included in our retreat package. The cuisine of Israel is a heavenly mix of North Africa, the Mediterranean and the Middle Eastern nations, plus the early settlers that brought with them food cultures from far and wide. It is time to indulge in some of the most delicious and healthy foods you will ever have from hummus to falafel, breads to cheeses in all levels of spice and flavors. 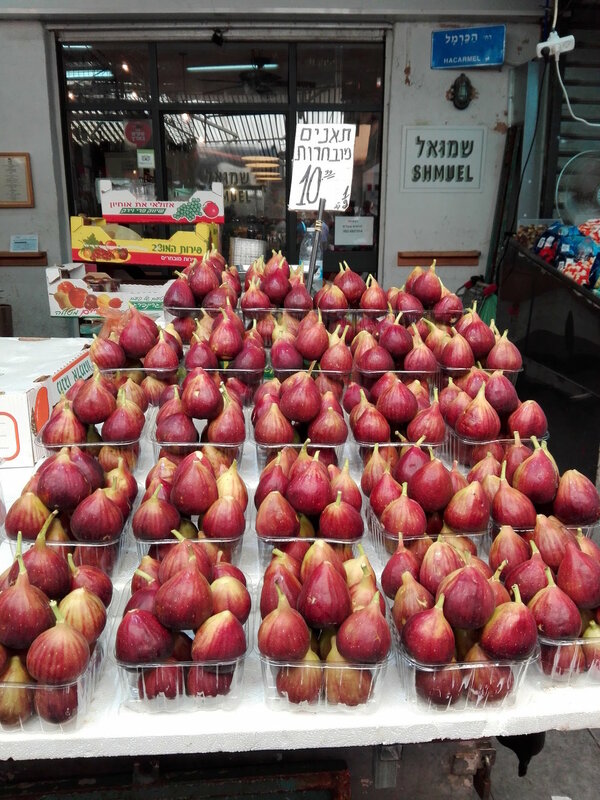 Plus, there are plenty of vegetarian and vegan options in Israel. Twice per day we will practice yoga in various locations in Tel Aviv and Jerusalem. We have bikes to use in Tel Aviv and we will head to the sea for morning practice. Plus, imagine an afternoon practice at the infamous Dead Sea! It is time to take our yoga out of the studio and into the fresh, open air! Shari will guide you through an invigorating vinyasa flow for all levels. As always, Shari will listen to what the group needs and adjust accordingly for the best yoga experience. OLD CITY JERUSALEM: We will have a private tour of this incredible place of intense sanctity to Jews, Christians and Muslims, where holy sites seem to tumble over each other. Our expert guide will unpeel layers of history and provide an overview of what Jerusalem means to the three monotheistic religions. MASADA DESERT: Masada is a rugged natural fortress, of majestic beauty, in the Judean Desert overlooking the Dead Sea. With our expert guide, we will explore this archaeological site of great significance. The remains of Herod’s palaces are outstanding and very intact and we will learn all about this historical site that has remained untouched for more than thirteen centuries. DEAD SEA: Time to float! Following the Masada Desert, we will head to the infamous Dead Sea, a salt lake more than 400m below sea level, the lowest point on dry land. Its hypersaline water makes floating easy, and its mineral-rich mud is famous for its therapeutic properties. We will have a special picnic here and practice yoga, breathing in the oxygen-rich air. This will be an unforgettable and extraordinary experience! 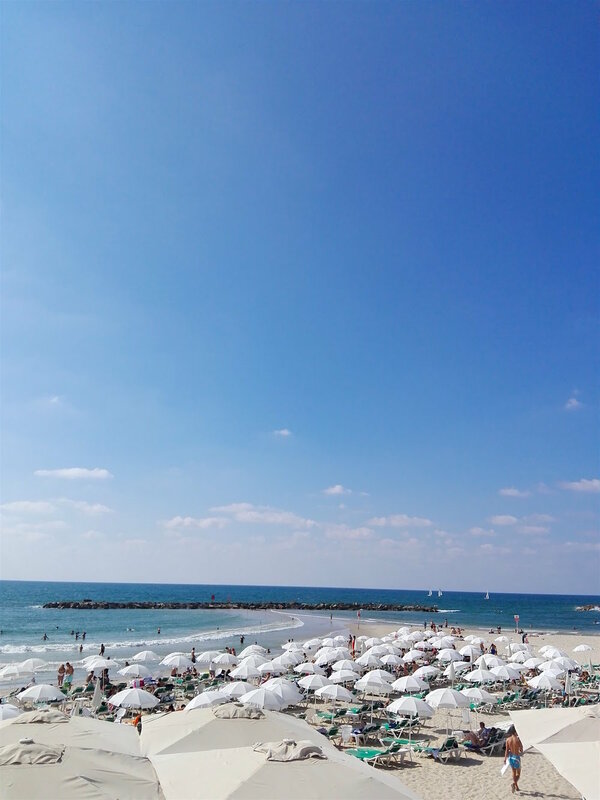 Please arrive in Tel Aviv for check-in on August 31 no earlier than 2pm. Although there will be no private shuttle (as guests arrive at different times), we can help you with private car or taxi (extra fees may apply. We will inform you of options and costs.) Our location is appx. 15 minutes from the airport. Departure is Sept 7 from Jerusalem back to Tel Aviv airport (TLV). We will arrange a private shuttle from Jerusalem to the airport at appx. 10am. If you require an earlier or later time, let us know and we can help arrange a different option, not included in the price. For more info on travel, visas, etc. please DOWNLOAD our FAQ’s/INFO. And feel free to contact us directly with any questions.